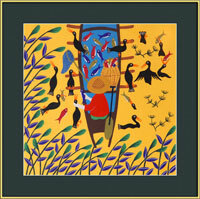 Description: In a pond with lots of reeds, a fisherman is sitting on his boat, taking fish out of the cormorants' mouth. 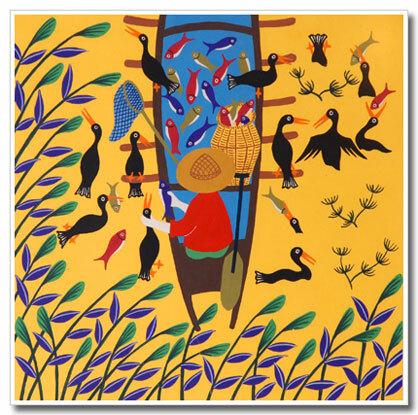 Cormorants are busy catching fish in the water. The chop of the artist is on the back of the painting.